John Donovan is finally getting his time in the spotlight. 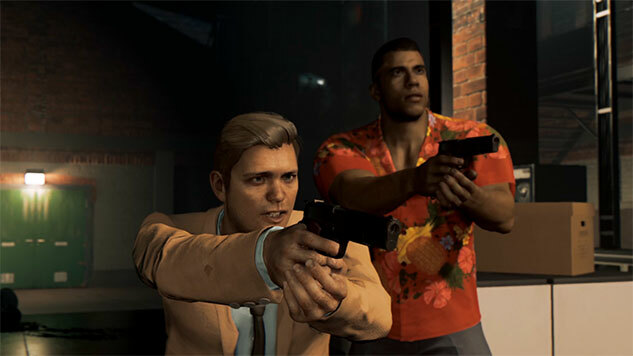 DLC chapter Mafia III: Stones Unturned is now available. Tales of revenge might keep you occupied for a while, but 2K and Hangar 13 know what you want: more of that snarky CIA handler John Donovan. This time around, he’s up close and personal, and his past is catching up with him. You’ll play through the chapter with Donovan as your wingman in a whole new part of New Bordeaux. Of course, there’s a new arsenal of weapons and vehicles, and a new support option—sniper support. New bounty missions are packed in as well, with a nice helping of salt from an old friend of Donovan’s. If you already have the deluxe edition of the game, or a season pass, you’ll already have an automatic update going through. If not, you can purchase the Stones Unturned chapter digitally. But before you start slinging bullets, make sure you have all three Lieutenants with you when you go to meet with Donovan. For more on Stones Unturned, check out the sneak peek below.